As with anything that becomes part of popular culture, recently-pulled Flappy Bird game has already spawned one or two copycat / spin-off titles. Doge, for those unfamiliar, is an Internet meme depicted by a Shiba Inus dog, and since said meme is predominantly used to invoke humor, one particularly funny guy has come up with the idea of ‘Flappy Doge,’ a Web-based browser game that essentially replaces some of Flappy Bird’s graphics with those relating to Doge. 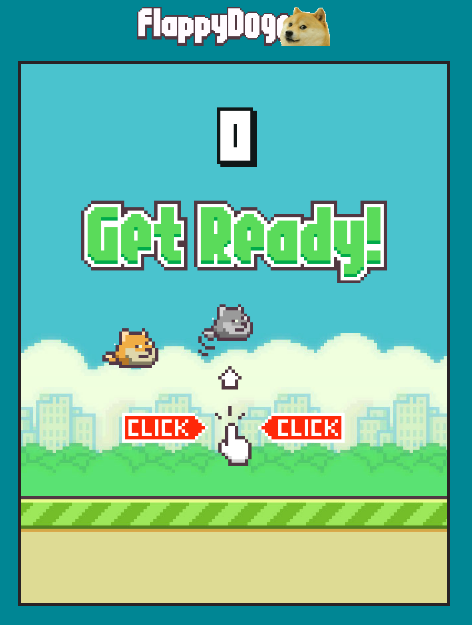 But hey, if you just want your old game back, there’s also a HTML5-based clone edition of Flappy Bird, too! 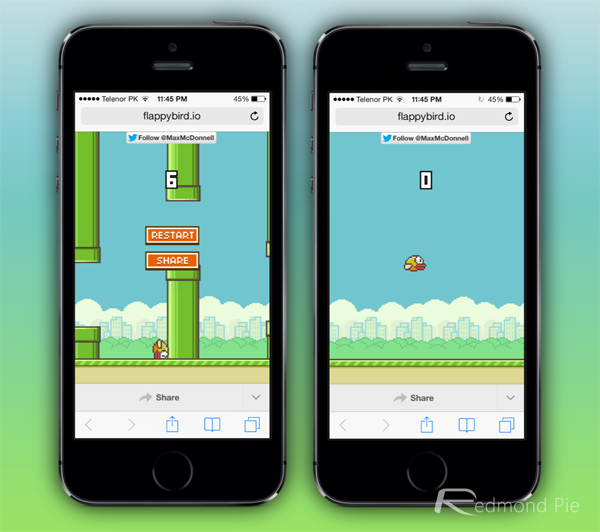 Original version of Flappy Bird may have died due to its developer’s decision to remove the game from both the Google Play Store and iTunes App Store over the weekend, but it remains heavily played, and it’s no surprise that fans are eager to see the title live on through this cult memes and Web-based re-makes. Getting started with Flappy Doge is simple. Once you’ve pointed your browser to the webpage (as detailed at the bottom of this article), all you need to do is use your mouse clicks to keep the little doge afloat, while taking care to avoid those pipes. As those who’ve been playing Flappy Bird for a while will vouch, the game is pretty unforgiving, but unfortunately, it would seem that the Web-based version of Flappy Doge is even more so. Using a wireless mouse, I was unable to get past a score of four after about ten attempts, and this brief encounter alone has left my blood pressure up and my sense of gaming-ability at an all-time low. But my faith was somewhat restored by playing the Web-based clone of Flappy Bird, which reminded me that I am actually a bit of a boss when it comes to casual games. It does seem slightly smoother than Flappy Doge, which no doubt helps matters, and overall, I think the Flappy Bird web clone will be sapping more of my not-so-free time! It’s currently unknown whether the original Flappy Bird will re-emerge at any point, but given its abrupt and unceremonious demise, we’re not counting on it. As folks continue to talk about the game, we’ll probably see a couple more spin-off editions, but the chances of a return to the App Store and Google Play seem remote. Still, if you feel like giving the Web-made Flappy Doge or Flappy Bird a try, then please head on over to dogetek.co/game or flappybird.io respectively to get started! Keep in mind that the former link isn’t compatible for mobile, while the latter is. Once you’ve given the game a spin, do share your score with us! How To Play Flappy Bird On Pebble Smartwatch!